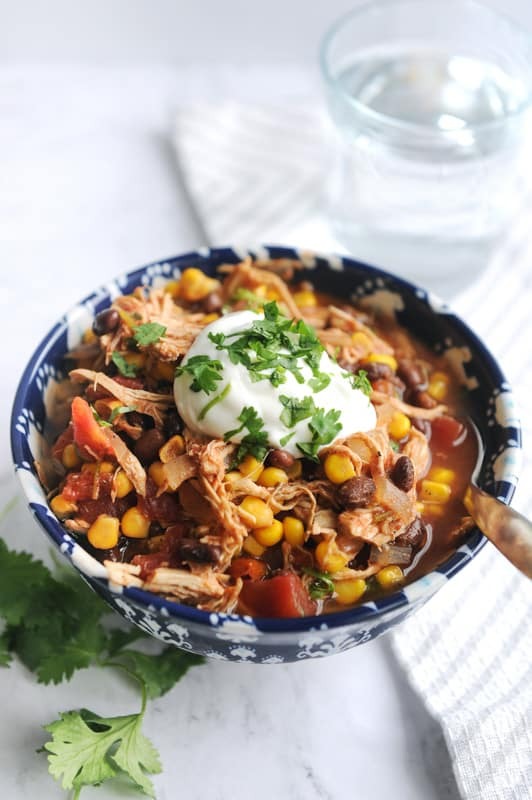 Chicken enchilada soup is going to make your weeknight dinner a breeze! 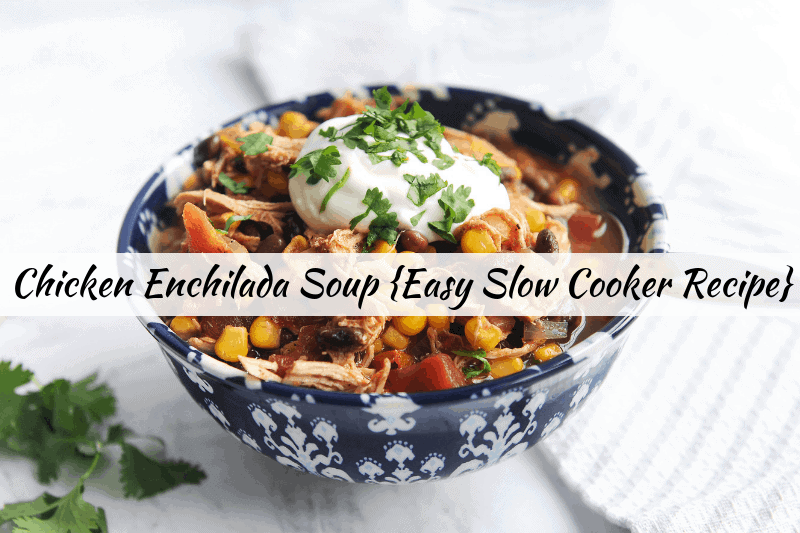 Chicken enchilada soup is a staple in our house. Why? Because it’s super yummy and super easy! Between school, work and kid activities, the fall can be sort of crazy. When I’m trying to stick to a certain meal plan or basically just eat healthy, the absolute worst thing I can is to be not prepared! When I have an easy weeknight meal ready to go, I know I can choose the healthy dinner choice! 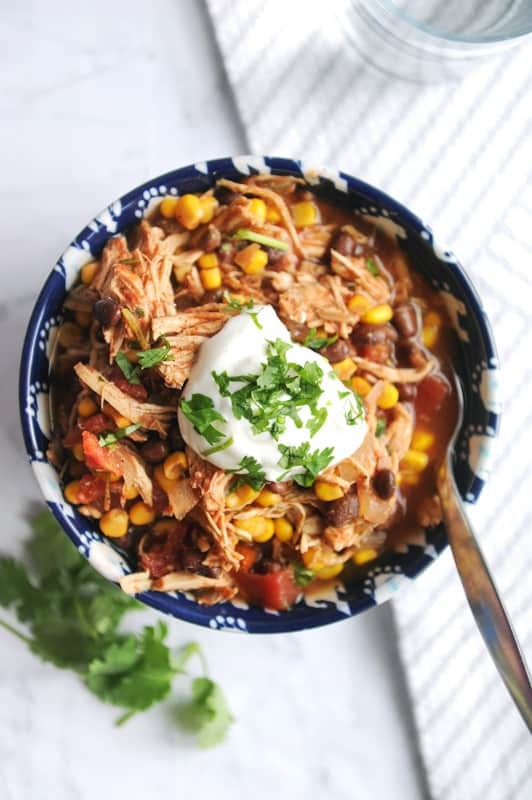 That is why an easy, healthy crockpot dinner is happening at our house pretty much every night! This recipe is super yummy and quick! 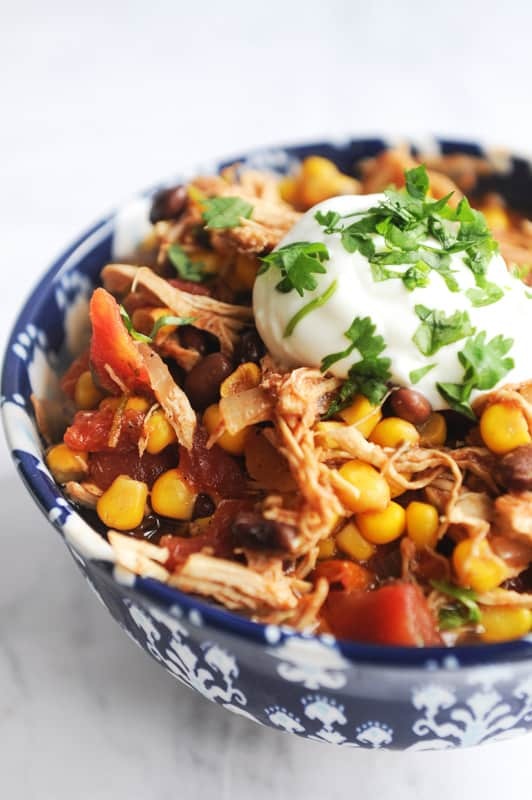 The shredded chicken is so quick, you could also use it to make some yummy crockpot chicken tacos! Just add the meat to some corn tacos or flour tortillas and you’re good to go! Like Whole30 or Paleo crockpot recipes? 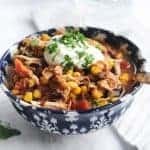 I’m a huge fan of low-carb slow cooker meals too! This Whole30 Approved Beef Stew is for you! Combine all ingredients into slow cooker and cook for 8 hours on low. After 7 hours, pull out chicken and shred. Return chicken to pot and cook for one more hour. Need Help with Meal Planning or Freezer Cooking? These two things have SAVED my weeknight sanity, and helped me to keep off the 50 pounds I lost after baby! 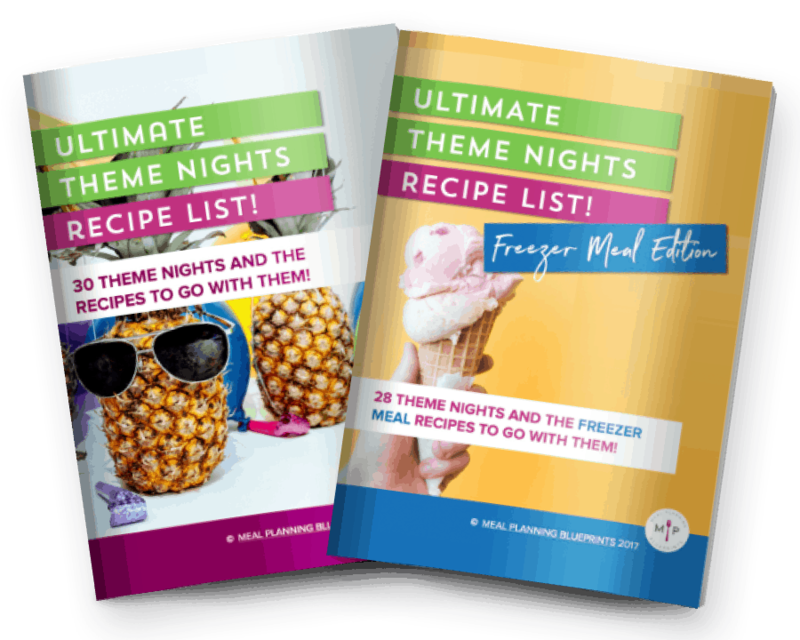 Check out the Ultimate Theme Nights Recipe List & Freezer Meal Edition! I use my crockpot and Instant Pot pretty much on the daily. I’m sure you can relate – between work, school and activities, easy weeknight dinner recipes are key! 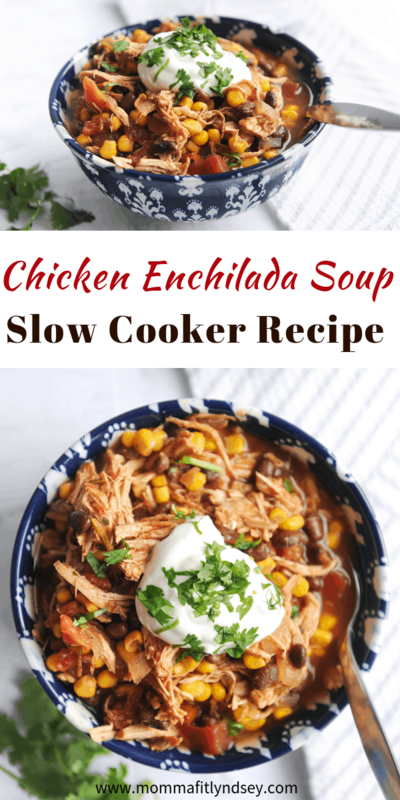 I love that I can set the slow cooker and come home to a healthy weeknight meal! 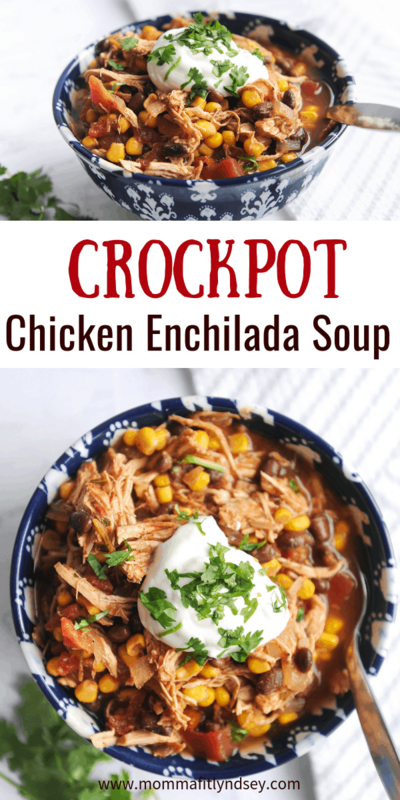 Do you love your crockpot as much as I do? 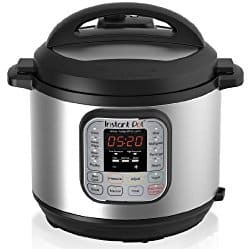 Or are you more into the Instant Pot? 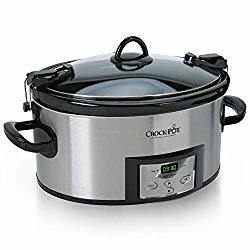 Did you know that the instant pot has a crockpot feature?! Yep, my mind is blown too! Tell me about what you think in the comments!